I must admit I did not realize how important the Whoopla from Polyform was last week. WHY? 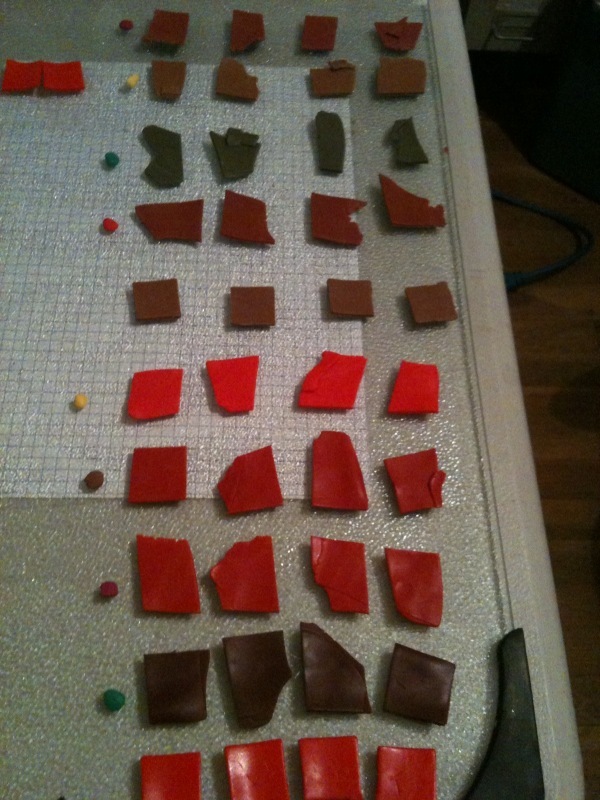 I was still using Premo, and Sculpy for my clay primarily and had not realized the importance of color mixing. I have been considering the move for a long time as you can see in my previous blog posts this is the one where I just broke down and said I was gonna do it NOW! 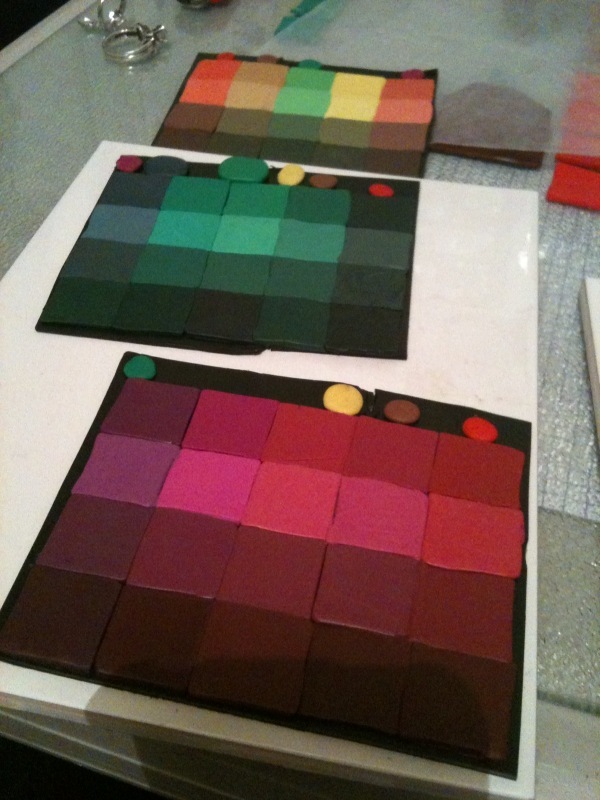 I got a shipment of clay and began working on the color inspirations book and began mixing ……. And while I was mixing it hit me and it hit me big. If I am going to work with Kato exclusively then what if they tried to take my blue color away? What colors would I loose? What if I HAD indeed built my business on these custom colors that I could no longer mix because the company decided in their wisdom it did not make good business sense to continue with these colors? I would be up a creek without a paddle as they say and that is a scary thought. I can only imagine how many in the clay community must have felt. They must have been very shocked when they heard the news, and later when they found out the change from the company relief and happiness would be the words for the day. I am still mixing and having a love hate relationship with the whole thing but it is wonderful to do and it seems like now is the time. I do not have the proper colors to do the exercise properly but here is my rendition. The base colors are Magenta, Green and Yellow. To those I mixed the color you see on top of each row mixed again with rows of white, silver, and black. I kept finding myself dreading the next row to mix as I was doing this by hand. I kept being so surprised at some of the color changes I kept saying wow to myself. I was especially drawn to some of the plumish colors they look nice and deep, the green that almost looks like a mint green, and the peachish color. I was also surprised to see a green that made me think of olives which I hate. I am so excited to be able to mix quite a few colors and feel this book is going to give me the confidence to continue to create harmonious pieces. I am so not excited about the mixing that I will be doing for a while if I want to do this exercise the right way once I get some of the missing primaries in. 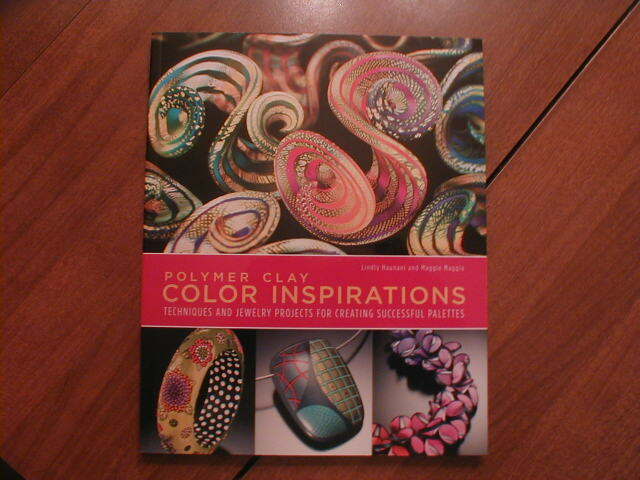 I am really going to try to focus this winter on the book and completing the exercises as I have time. One thing good about mixing colors it is mindless but also inspiring. I can do it anywhere anytime as long as I have the clay with me. This type of mixing all I need is my two hands and I always have them too! I do know the next round is waiting for my fingers but I am not sure if I am ready for it wish me luck. Whats on your worktable? 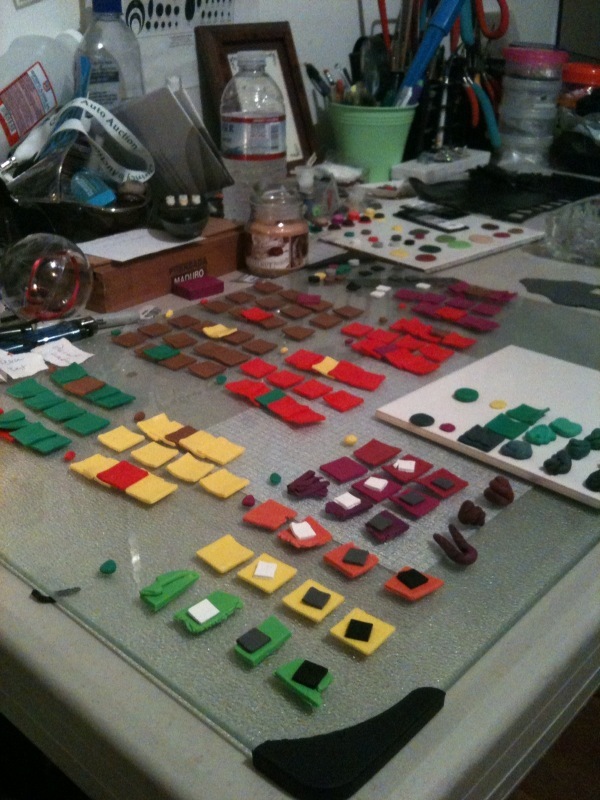 This entry was posted on December 4, 2010 at 3:48 AM and is filed under color mixing, inspiration, kato clay, Persperation, polymer clay. You can follow any responses to this entry through the RSS 2.0 feed. You can leave a response, or trackback from your own site.